I was super inspired by a couple amazing labeling posters that I found on Pinterest. 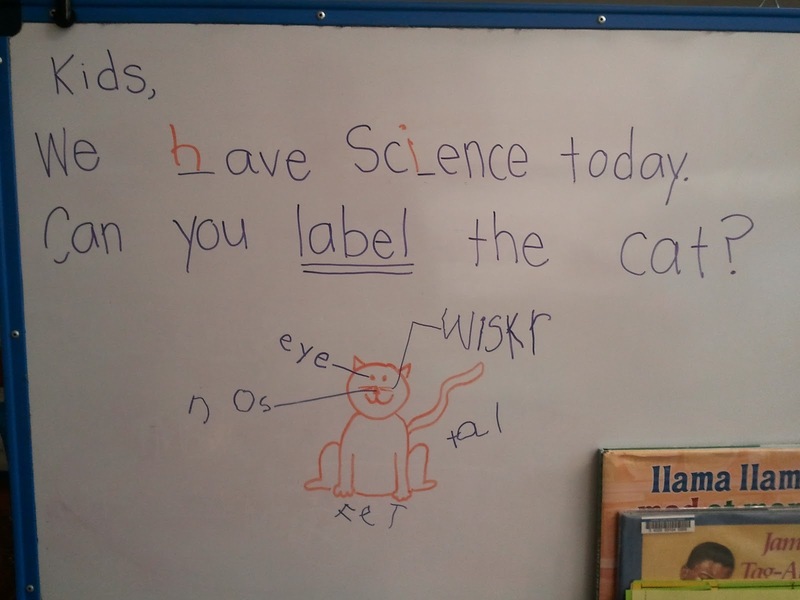 We did a few labeling lessons a few weeks ago, and the kids were crazy about it. I was suprised by how fast they "got it" and by how engaged they were. If you are wondering "Why is she doing labeling in December?" please remember that most of my babies are still four! 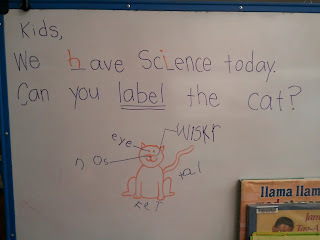 First, we used invented spelling to label a different animal each day on our morning message. We later did one on an anchor chart for future reference. I am SO not as artistic as these ladies were! 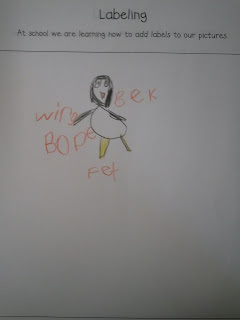 Then, during our small group time, I worked with groups of four to label their own drawings. I used my favorite drawing book, Follow the Directions & Draw it All by Yourself! to teach a step by step guided drawing lesson. Then, we stretched out the sounds and labelled. It sounds like a lot but it only took about 15 minutes. If we were done early, we did a little more guided drawing on the back. I was so impressed by how well my foursies did with this activity! How freaking cute is that turtle? 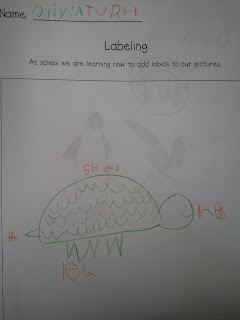 Next up: labeling other animals independently. 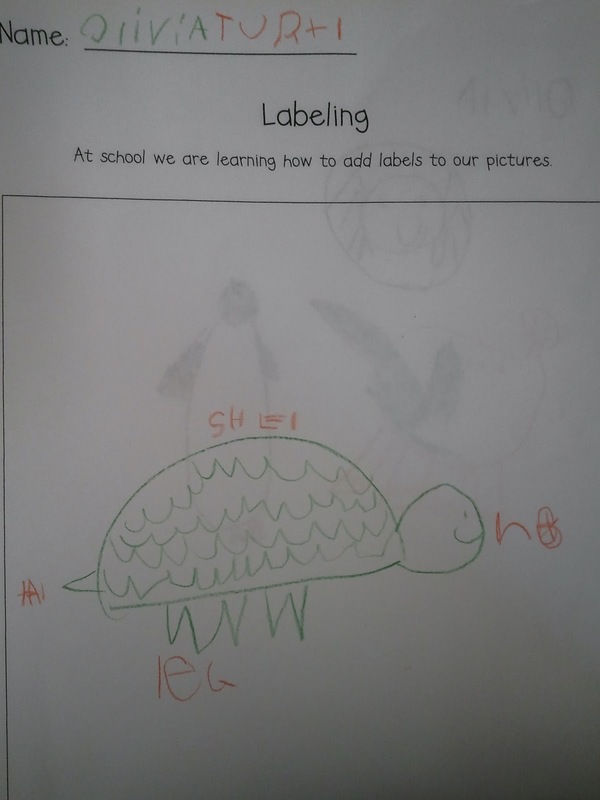 Download the freebie below to snag a copy of elephant labeling, tiger labeling and the labeling sheet I used for guided drawing. I also created a new tab up on top of my blog so that you can locate ALL of my freebies super easily. Enjoy! 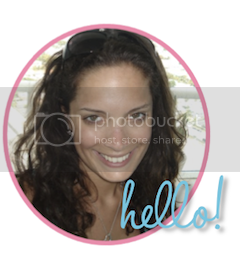 Cute freebie. I heart Pinterest! I just found your blog and I'm your newest follower! I do love that turtle! I really like the idea of having the group label using invented spelling. Usually I have seen it done with a word bank. Thank you for sharing! Thanks ladies! 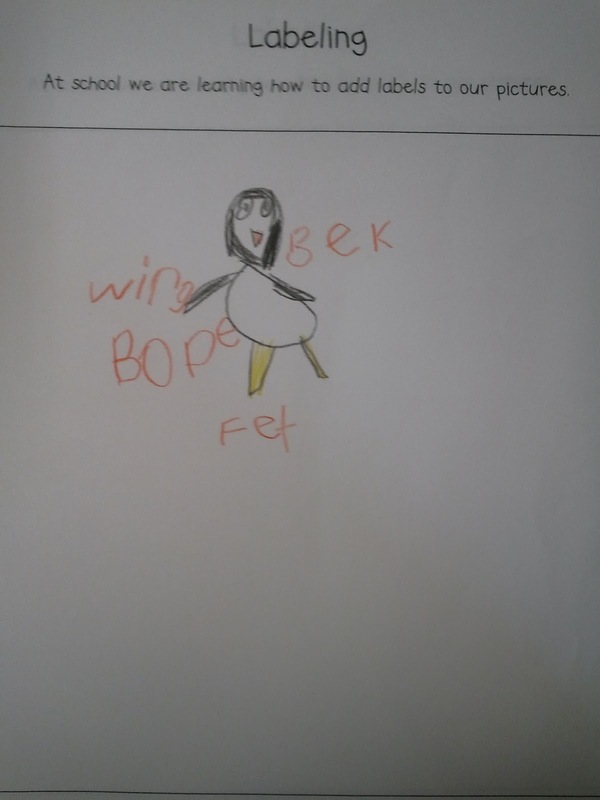 I like the idea of using invented spelling, too. To me it seems a bit more developmentally appropriate. Since word banks might work better for others, I included both versions in the download.